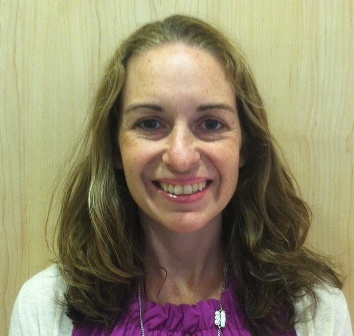 Meet Amanda DeCew, a Nurse Practitioner in Residency at CHC, Inc.! I graduated in 2001 with a B.A. in International Relations from Boston University and a joint Masters in Nursing and Masters in Public Health (MSN/MPH) from Yale University in 2012. Before going to nursing school, I was a Peace Corps Volunteer and a teacher. CHC believes in putting research into practice. From the M.A.s to nurses to providers, everyone is working together to strive towards providing comprehensive care for our patients. I could probably still do a back handspring, although it might land me in the ED. I can definitely do a handstand. The Giants enter my life every Sunday by default, complete with a husband jumping up and down. I thought about this one for a long time. I have always wanted to work on global food scarcity issues. If I had a lot of money, I would set up my own foundation that worked directly with organizations serving the most vulnerable populations. But if I won the lottery tomorrow, I would still want to keep working as an NP…I love what I do. I am here to learn from all of you! Please tell me if I can do something better.